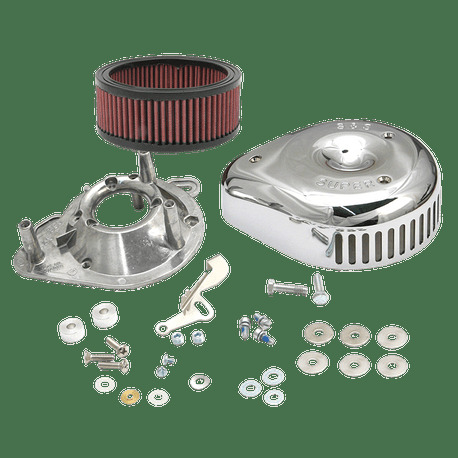 This air cleaner kit is a replacement for the air cleaners found on carbureted S&S® 4-1/8" bore V-Series and T-Series engines for 1984-'05 big twin chassis. It is designed for S&S® Super E & G carburetors and works with the vacuum breathing system found in these complete engines. 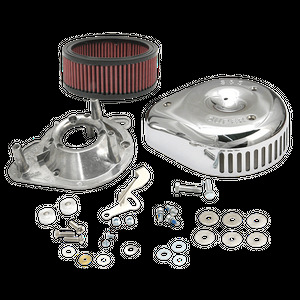 Kit includes back plate, filter, S&S® chrome Slasher air cleaner cover, hardware and instructions.